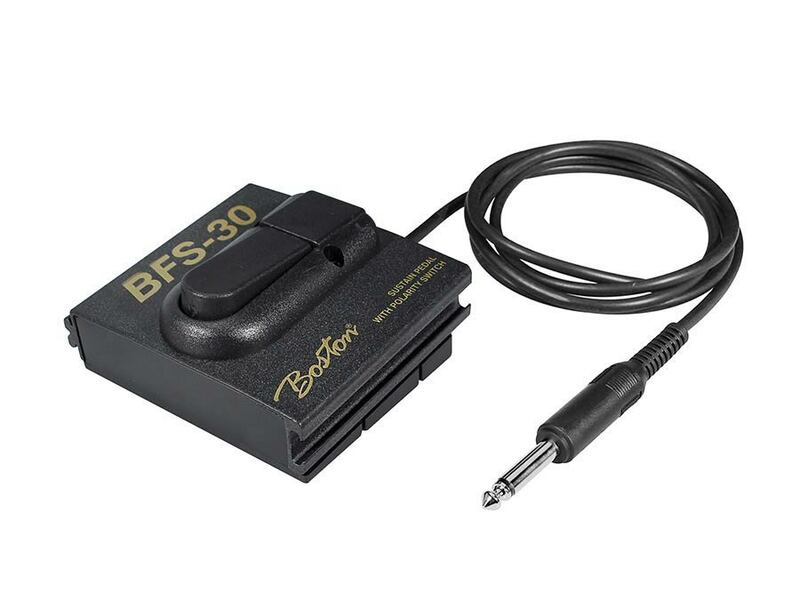 The BFS- 30 Boston is a compact and sturdy sustain pedal with an aluminium housing. It is equipped with a polarity switch, which is compatible with almost all keyboards. You can have multiple pedal heads together thanks to the handy coupling system so that the pedals do not all slide by each other. It's not only to connect with other BFS-30 , but also with the Boston BFS -35 (On-Off pedal).